Vasant Vihar in Thane is where the cool kids hang. So obviously, it has cafes and haunts that make for great outings. One such place for catching up with your gang is Bombay Brews, hidden inside Emerald Plaza in Hiranandani Meadows. With two odd tables kept outside, the café inside can house about 12-15 people. They have a bunch of tables on the ground floor, and a few more in the mezzanine section. With friendly music, cozy ambience, and relaxed vibes, this Thane café has all the ingredients to make you feel at home, almost instantly. And, they have board games too so you can spend some time testing your skills. Just a year old, Bombay Brews has an elaborate menu that will take you a while to go through before you decide what you want. So, to make it easier, hear us out. They are primarily known for their pizzas, pastas, and fish starters. The hot-selling items on their menu are pot rice with cheese balls (INR 350), and lasagne – paneer and spinach variant (INR 350) for the vegetarians, and chicken lasagne (INR 350) for the meat eaters. For drinks, they have their coffees and teas in place in addition to an elaborate shakes menu and many flavours of iced teas. Their Kit Kat shake (INR 220), and watermelon iced tea (INR 120) is strongly recommended. How is any meal complete without a dessert? While they have a range of waffles and other sweet things, the one thing that you must order is deep-fried Oreo dessert (INR 200) where Oreo biscuits are covered in chocolate coating and then deep fried making it crisp and hot, topped with cream and served with vanilla ice-cream. Thane sure does have a lot of hidden gems in various nooks and corners. 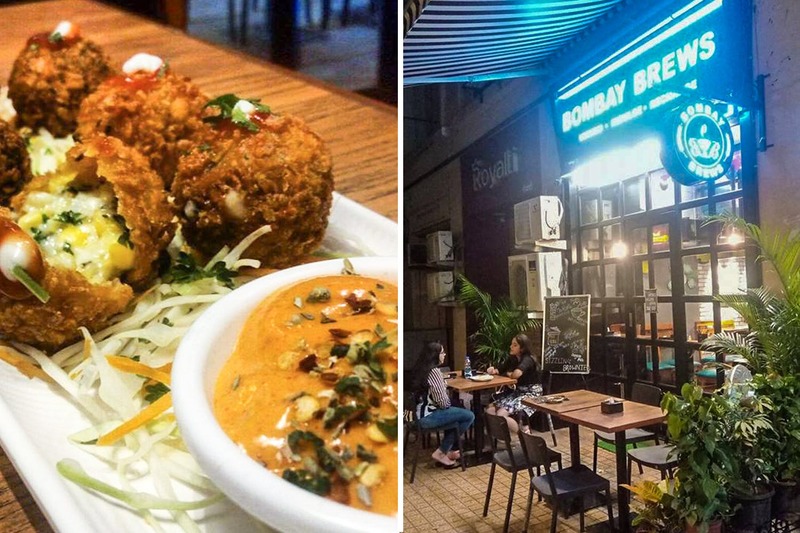 Head to Bombay Brews for a quick bite, yummy shakes and a good time.